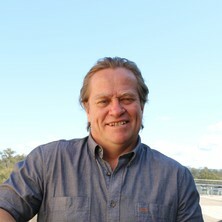 Dr Glen Fox (@GlenFox9) joined QAAFI’s Centre for Nutrition and Food Science in October 2010, after 25 years of conducting research projects with the Queensland Government. He obtained his PhD from Southern Cross University in the area of barley genetics related to barley and malt quality. Currently, Dr Fox is researching variation in quality of globally important five cereal grains, namely maize, rice, wheat barley and sorghum, in Australia and internationally. Along with his international experience, Dr Fox’s expands his research into global food safety and he is keen to explore collaborations with other scientists in this area. Is malting barley better feed for cattle than feed barley? Screening Queensland grown sorghum for health promoting compounds. Using near infrared spectroscopy to classify aflatoxin contaminated maize. Aflatoxin contamination predictions in maize using near infrared spectroscopy. Characterisation of molecular structure of starch in barley grains during germination. Is starch structure and function affected by biosynthesis in genotypes expressing drought tolerance?